Kinnukuman (Muscleman), a weak and clumsy super hero, constantly getting into wacky situations. As the series progressed, the story began changing from comedy to action as Kinnukuman battles stronger and stronger foes in the wrestling ring. 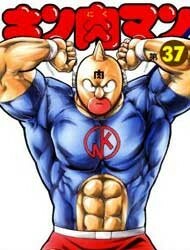 The series continually introduced new Super Human characters, known as Chyo-jins, who would challenge Kinnikuman and his friends for various purposes.Kinnikuman received the Shogakukan Manga Award for shōnen manga in 1985.